There are so many ways make sure that the air is cleaner and the environment is healthier for generations to come and this effort starts at home. Our website provides everyday garden tools and households items that can help reduce pollution and work towards our goal of a healthier planet. Check out our gas-free mowers, composters, solar panels, trash compactors, and other items to make this earth day even more special! Looking to get out and do some yard work in the spring weather? 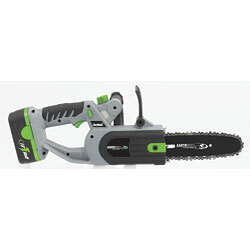 The Earthwise Cordless Electric Chainsaw is the perfect powerful tool to help chop down those trees while remaining environmentally friendly (especially this close to earth day!). NaturCut Ladder Style Handles: The NaturCut Classic HD and the NaturCut Ideal 40 both offer ladder style handles to which an extra handle section may be added. For folks over 6’2″ this can be important to mowing comfortably. NaturCut Normal Handles: Normally the handles come with a bottom section which attaches to the mower, a middle section, and a top piece which has the raised foam handle. This completed handle comfortably works for folks 5′ to 6’2″. By adding another middle section, the handles comfortably work for folks 6’2″ to 7′. Adding another middle section to the handles is very easy to do. 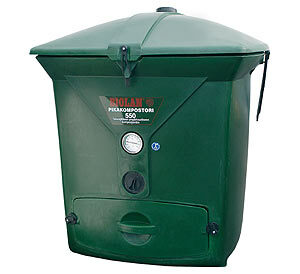 Introduction to US Market : We are excited to introduce the Biolan 220 and 550 composting units to the US market. What makes these units unique is that they are designed for composting in the northern climates. Also the 550 breaks into a new category by servicing up to 15 people or several households. Just in time for spring mowing, here is a TV news spot on reel mowers. You can see the TV anchor use one for the first time, and talk about the pros and cons. 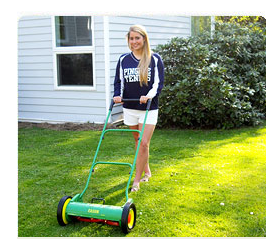 This reviewer is using the Scotts Reel Mower, a 20″ reel. Confused about all the reel mower options our there…here is a chart to compare all the major reel mower brands . Off topic, kind of, but really important: This TED Talk 2010 by Dan Barber about fish, fish farming and sustainability is entertaining, and both takes and gives us hope! For everyone who loves fish but is worrying about environmental costs, this video is for you! With impeccable research and deadpan humor, Dan Barber chronicles how he fell out of love with one type of ecologically questionable farmed fish and was impressed by new sustainable fish farming methods in Spain. Watch the talk, be amazed and then read more about Miguel Medialdea’s projects (“three parts Darwin, one part Crocodile Dundee”).